Are you ready for the horror? Are you looking for some old school scary stories? Do the newer scary stories being published today just not do the trick for you? 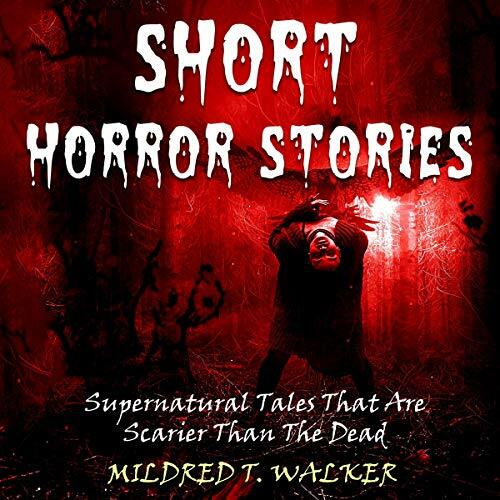 If you answered yes to either of these questions, then Short Horror Stories: Supernatural Stories That Are Scarier Than the Dead is the right audiobook for you. In this audiobook, you will hear works of some of the greatest horror fiction writers that history has to offer, including Edgar Allan Poe’s "The Fall of the House of Usher" and "Ligeia," W.W. Jacob’s "The Monkey’s Paw," Ray Bradbury’s "The Lake," and finally, Washington Irving’s "The Legend of Sleepy Hollow." These works may be old, but they have a staying power that transcends any of the literary trends of our age or any others. Horror fiction is, and likely will always be, one of the most popular forms of fiction in the world. This genre has its roots in the early Greco-Roman people and has stood the test of time for thousands of years now, hardly ever wavering throughout all of history’s many vicissitudes. Fear is the most powerful emotion that we face as humans. Of all of the things that we are afraid of, there is one thing that affects us most profoundly across all of these areas: the fear of the unknown. In listening to horror fiction, we are putting ourselves up against all of the things that we are unaware of. This may not only put us in a state of unease in the short term but also makes us analyze what is going on around us more closely, leading to long-term enlightenment. The plots and characters throughout this collection of short stories vary widely, from haunted houses and cursed knickknacks to dead brides coming back to life and headless horsemen. These are some of the best horror authors that history has to offer, so be ready for anything when listening to their works. Listen to Short Horror Stories and start screaming today!